Behind the scene of TV coverage today. 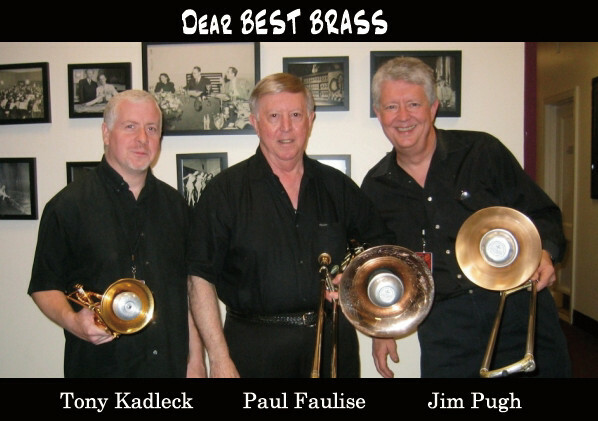 Visit Best Brass at 2018NAMM. Summer holiday from August 4th to 13th, 2017. The new thing is nearing completion! All the Best Brass crews are taking New Year holidays from December 28th, 2018 to January 6th, 2019. Due to this, all the online orders and inquiries will be serially treated from January 7th, 2019(JST). I feel like 2018 has flied somehow. Actually, 2019 is an anniversary year for Best Brass and we are working on several projects coming in that year. I will announce them soon. Have a great new year! 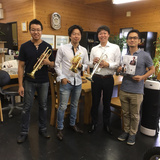 Keitaro Shimizu, trumpet player of Göttinger Symphonie Orchester, and trombone player Kazumasa Ono visited Best Brass. They both are from Hamamatsu and will have their first-ever concert in the city tomorrow. Let's send very best wishes for their further success! 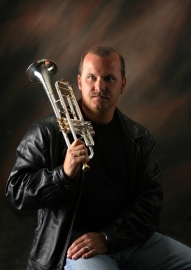 We are happy to announce that Best Brass has another dealer in New York state. 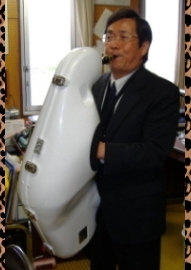 Siegfried's Call is a horn specialliezed shop and is operated by Scott Bacon and his family. 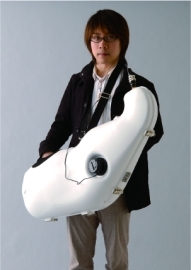 We hope that this will make it easier for all the horn players to try and see our products. Thank you Scott, and I hope to establish a strong partnership! 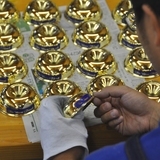 We received a TV coverage today at Best Brass! It will be broadcast in March and I think that this will be a good short video for our company profile page. I will post it if it is allowed, but for now, here are a few pictures from the coverage. Best Brass will have a booth(#8002) in Anaheim again! 2018NAMM will open tomorrow, and I am heading to the US right now. 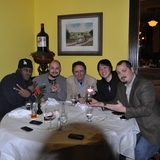 It is always great to see friends there and it is also important for me to show all the products to many professional musicians and international dealers/importers. 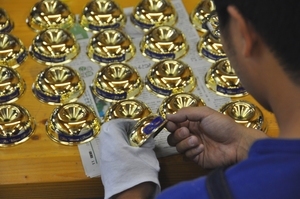 I hope to make further convenient distribution network for all the brass enthusiasts in the whole world. If you attend the show, don't forget visiting us and say hi to me! ;-) I will be looking forward to meeting you soon. Happy New Year! We wish you all a very successful, healthy, and glorious 2018. 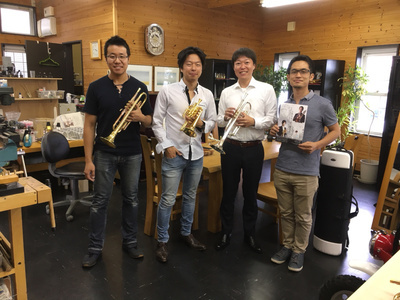 And we all at Best Brass will ongoingly make our best effort to generate the new ideas/services for achieving further enjoyable and comfortable music life of every brass enthusiasts. I will be looking forward to new experiences and meeting in 2018! 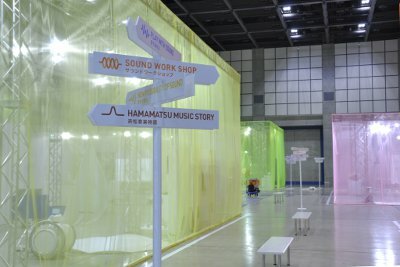 'Sound Design Festival in Hamamatsu' will be held from tomorrow at Act city Hamamatsu. 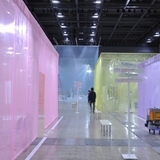 This event is unique because it is not an trade show nor exhibition for an instruments. The concept is creating one "Space" based on an artistic side and possibility of Sound and Instruments. And, Best Brass Trumpets are also spotlighted there as a future of trumpets! I know that it is hard for people abroad to come, so would like to share some picture. Best Brass is launching a new stop mute 'PotStop'! 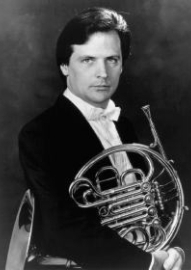 It is a new version of the previous 'Non-transpong Gestopft', and the development of this new model actually started from a request of Mr.Wolfgang Tomboeck from the Vienna Philharmonic Orchestra. 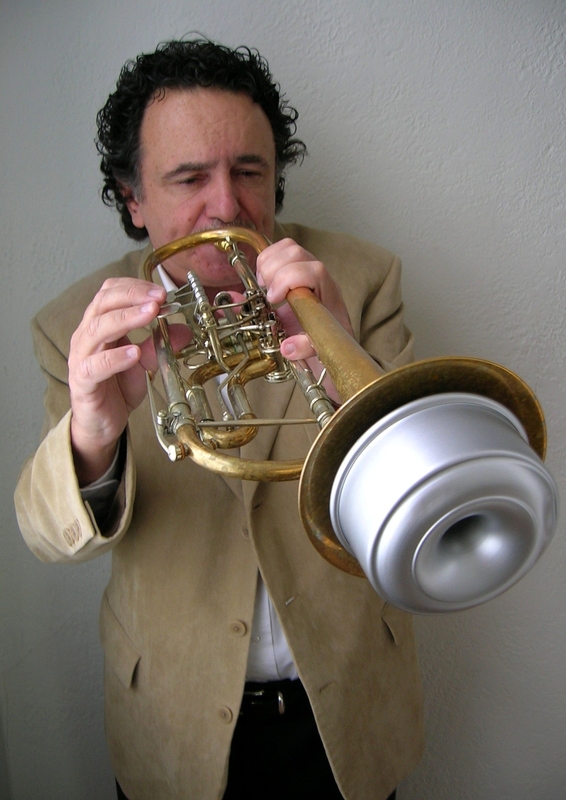 Not only does this new model features Mr.Tomboeck and VPO players' passion, but also we developed it by taking in dialogues with the players who actually uses the past 'Non-transposing' mutes for years. 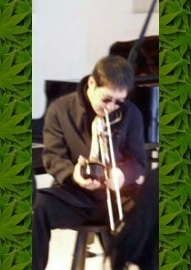 The quality is further advanced and exceeds the past models at any points, and here, PotStop is newly-born as a truly professional stop mute. I hope that you visit the page below and check out some more details! All the Best Brass crews are taking summer holidays from August 4th to 13th, 2017. Due to this, all the online orders will ship on August 14th(JST), and we will reply all the inquries on the day too. Actually, 14th will be a quite busy day so some might be handled on 15th, but we will individually contact in that case. 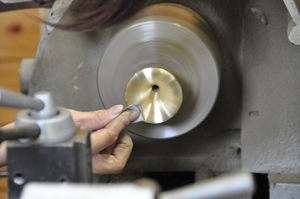 The pictures below are the new thing that craftspeople at Best Brass are working on lately. Although some already find the answer, it finally is nearing completion and I will most probably can introduce it in September. This product has a nice story to tell so I hope to be able to share it too. 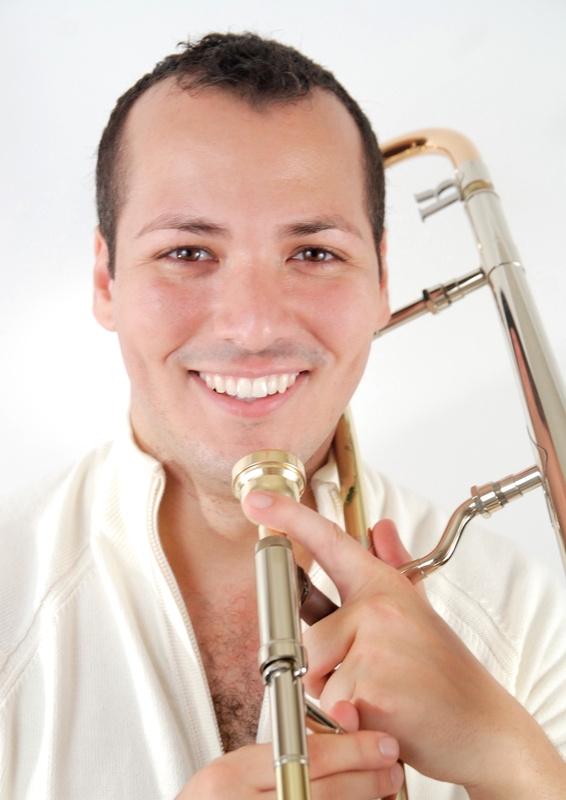 Copyright © 2018 BEST BRASS News All Rights Reserved.